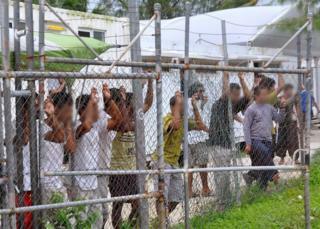 The 1,905 claimants had alleged they suffered harm while being held on PNG’s Manus Island between 2012 and 2016. The government said it “strongly denied” the allegations but that settling was a “prudent” decision. While the US has agreed to honour a deal to consider them for resettlement, it seems unlikely that all would pass the “extreme vetting” procedure. The principal lawyer for the claimants, Andrew Baker, said the settlement would help them to “put this dark chapter of their lives behind them”. But Australia’s immigration minister Peter Dutton said the government “strongly refutes and denies the claims made in these proceedings”. In a statement, he said that had the case gone to trial it would have cost “tens of millions of dollars in legal fees alone, with an unknown outcome”, and the government decided a settlement was a “prudent outcome for Australian taxpayers”.